Note Images and descriptions were collected and provided by KUED in the making of their 1987 documentary about the Topaz Internment Camp. Some images were used in the documentary as representations of actual events occurring at Topaz. Description Lines to the recreation tent at Tanforan Race Track, a relocation center in California. 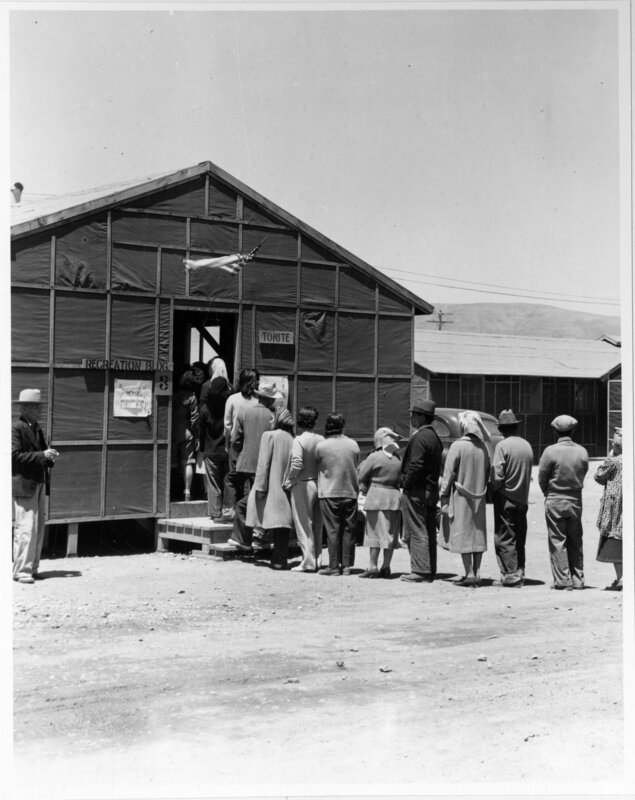 Many of the Japanese-Americans at Tanforan would be relocated to Topaz Relocation Center.